You all know that I've been playing with my Instant Pot for the past several weeks. I've also been talking about Protein this week on my 28 Days of Healthy Facebook Page, so I wanted to share this Chicken and White Bean Chili recipe that just made my "Family favorite list". I've had this recipe for about 10 years, and have made it in a regular stockpot to mediocre reviews from Pat. This time I made it in the Instant Pot, in about 1/3 of the time and mess, and the first bite brought rave reviews. I've always used boneless skinless chicken breasts. The Instant Pot, with it's pressure, tenderized the chicken so that it literally melted in our mouths. It also reduced the beans to a much creamier texture. 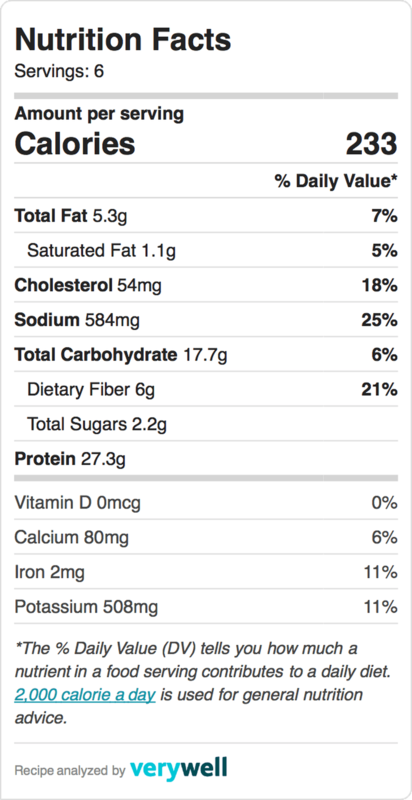 I posted the Nutrition facts on this since we're talking about Protein. You can see that protein dominates the profile, and it's lean - coming from the chicken as well as the beans. Not to overdue, but it's also got 6g of fiber, which was last weeks topic on the facebook page- Hey, it's important! Put all ingredients in the Instant Pot through lime juice. Cook on Soups and Stews for 20 minutes and let the pressure release on it’s own. Before serving, mix 1 T Cornstarch with 1 T water and put it in the pot with the fresh cilantro. Pressure cook for 1 more minute. The cornstarch will give it a little extra thickening. We garnished with Avocado and served with a Green Salad! My lifestyle focus in the past 20 years has been health and nutrition. I love to cook and I really take joy in making our family meals as healthy and beautiful as I can. Now I have two really great daughters-in-Law who are vegetarian, so it's lots of fun to incorporate that into our lives as well. I hope you find that my blog inspires you to live an energetic healthy life!